This week’s reviews include releases from Atavisma, Axis Of Despair, Black Space Riders, Chris Caffery, Dee Snider, Derdian, Draghkar, Drawn And Quartered, Inexorum, Michael Romeo, Outline, Tarja and Ultra-Violence. Ancient and lurching death metal culled from the tomb of H. P. Lovecraft neatly sums up The Chthonic Rituals, the full-length debut from French quartet Atavisma. Around since 2013, the band have gone the single, demo, split, and EP routes prior to this, their heaving long-player premiere, and the result is impressively well-conceived, if not familiar and a tad overlong. Atavisma churn out eight tracks – the intro being a furious drum solo – that bear a distinctly atmospheric and Scandinavian death metal sound, and although doom territory is where they find themselves coziest, the group incorporate some blasting and up-tempo sections that add gracious diversity to The Chthonic Rituals. Knowing all this, song titles like “Monoliths” and “Amid the Ruins” should add even more credence to the band’s subterranean heaviness. 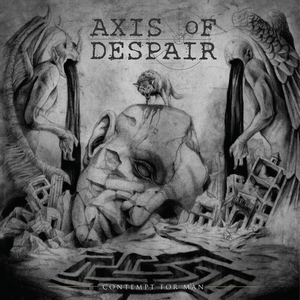 Axis of Despair are a Swedish grindcore group featuring three former members of Coldworker, a band that should’ve left a larger impression (2008’s Rotting Paradise is still a favorite of mine). On their debut album Contempt For Man, the visceral intent behind these 20 songs is maintained, even when the second half of the album is bogged down by a feeling of familiarity. Only two songs go over the two-minute line, and it might not be a coincidence that they are the ones that leave the most sizable mark. “Crush the Empire” and “Flytande Död” halt the extreme progress for a reprise into mid-tempo, and surprisingly catchy, structures. Their placement each comes after a stream of grindcore menace, leading to a well-maintained pace that avoids slumping for too long. 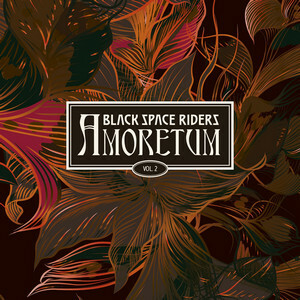 Earlier this year Black Space Riders released Amoretum Vol. 1. In an industry where you usually have to wait at least two years for new material, it’s refreshing to see such a quick turnaround for Amoretum Vol. 2. It’s part of the same session as the first installment, so there are definite similarities between the two, but the band has creativity to spare. They span quite a few different genres ranging from hard rock to stoner to alt rock to even some new wave influences. There are smooth, mellow songs alongside harder edged and rawer tracks. Even with such a wide palette, Black Space Riders manage to create a cohesive whole. With the 14 songs clocking in at over 65 minutes, it’s a bit long, and tracks like “Ch Ch Ch Ch Pt. 1” easily could have been excised. Still, there’s much more killer than filler. Chris Caffery always knows where he’ll be spending his Christmas season: on the road with Trans-Siberian Orchestra. He keeps busy the rest of the year as well with Savatage and other projects such as guitar instruction, hot sauces and public speaking. He also found time to record his sixth solo album, The Jester’s Court. 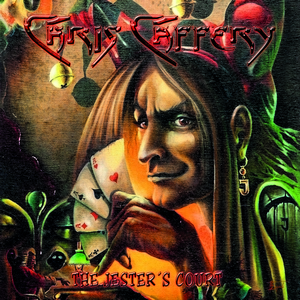 Caffrey handles vocals and most of the instruments on the album, but also brought aboard numerous guest musicians such as drummer Brian Tichy (Whitesnake), guitarist Joel Hoekstra (Night Ranger) and keyboardist Jane Mangini (Dee Snider). The songs are progressive/power metal with plenty of instrumental breaks and soaring choruses. Caffery has a unique voice that gives the record a distinctive sound. They dial back the bombast periodically, such as on the twangy “Protect My Soul” that’s a nice change of pace. A couple of subpar tracks drag things down a bit, but it still keeps its head above water. These days, people might think of reality TV when they think of Dee Snider, but for me, Twisted Sister’s You Can’t Stop Rock ‘n’ Roll was one of the albums that firmly cemented my love of metal. Snider’s voice in those days was incomparable in the hard rock world, and although their future success partially hinged on silliness, that album was (and still is) a killer. 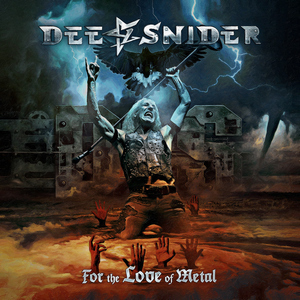 Fast forward to today, and Snider is releasing a new solo album, For the Love of Metal, and right off the bat we hear that this is heavy, aggressive, modern metal. It starts off in a vein similar to Judas Priest’s Painkiller, and maintains the heaviness throughout. What it doesn’t maintain, apart from the first few songs and the album-title closer, is our interest. The middle of the album is unmemorable, and vocal turns from the singers of Arch Enemy, Toxic Holocaust, and (formerly) Killswitch Engage don’t elevate the material. 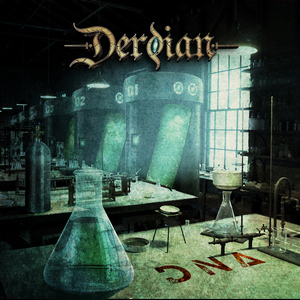 Italy’s Derdian perform a fairly standard type of power metal on DNA, their seventh full length. The songs are gleaming and candy coated in their nature and bring forth the grooves. The music is catchy and easy to digest, making it very easy to get into. DNA brings forth Helloween influences at most turns and goes for a standard type of power metal performance. In terms of musicality the band is absolutely solid. Guitars form a melodic segment to the music and are really catchy. The drumming and vocals round out the instrumental performances in fine fashion and demonstrate the power metal mentality. Really, this is very standard sounding power metal, but it is performed to the utmost degree of quality. Though it sounds really good and the music is very tight, it lacks a definable characteristic. It still pushes the limits of what power metal can sound like and hence is a success overall. It is a solid power metal offering that has a keen melodic edge to it. 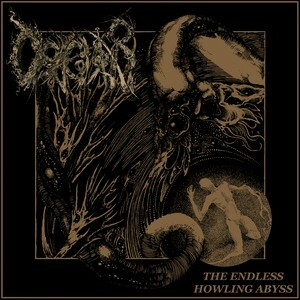 The Endless Howling Abyss is the first EP from low-fi death metalheads Draghkar, following last year’s World Unraveled demo. That demo got them underground buzz leading up to these four new songs. Though this is being viewed as an extended play, the production retains an unpolished stature that could’ve come from a band practicing in their soundproofed garage. That rawness is the EP’s blessing and misfortune, as these songs have capable ideas never given their full exposure. Awkward riff progressions or a drum performance that doesn’t align with the rest of the band are heightened due to the EP’s production. An ill-advised attempt at melodic vocals on closer “Fading Into Emptiness” aside, The Endless Howling Abyss is death metal dished out with few attempts to provide sonic flash or flair. To many, Drawn and Quartered, are still one of the more underrated death metal acts, even after more than 25 years of existence. But since their powerful and ominous sound of death metal has gained them a cult following, their music lives on and on through the decades. 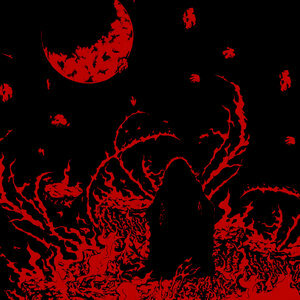 Six years after releasing their acclaimed sixth album Feeding Hell’s Furnace, Drawn and Quartered are offering their new opus, The One Who Lurks, 41 minutes of pure sinister death doom metal. The One Who Lurks, just like all the band’s previous records, is all about what true old school death metal is. This time they injecting a bit of middle-eastern melodies and pacing through slow, doomy songs to thunderous blastbeats moments. Drawn and Quartered deliver earth splitting death metal which we already heard on their older records, but now they have managed it more ambitiously. Nothing is better than hearing an old school death metal band doing true old school stuff, in its perfect, breathtaking way. 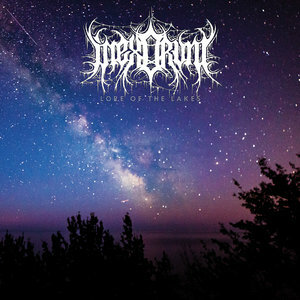 The essential attributes of traditional black metal radiate through Inexorum’s Lore of the Lakes, an album that doesn’t lose its melodic force even in the darkest of moments. Musician Carl Skildum is the main creative mind behind Inexorum, and his admiration for the formative years of black metal is obvious. But Skildum doesn’t let the music drown in its own callbacks to earlier bands, keeping the bass guitar audible through many instances of cutthroat guitar harmonies. Inexorum is full of these, and though he performs all the guitars himself on the album, the gripping effect of having them is an undeniable thrill. Lore of the Lakes is a heartfelt nod to a few decades past, rather than a direct pilfering of a music style from long ago. 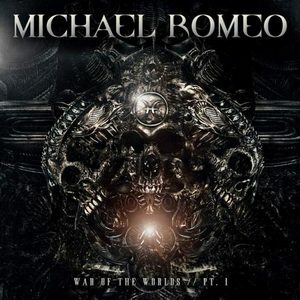 Combine those elements with Romeo’s neoclassical guitar work – epic, masterful solos, and some massive, intricate riffs – and musically you have a fantastic prog-power recording. But what tops this one off is the work of newcomer vocalist Rick Castellano, whose voice is the perfect mix of power and finesse for this kind of music. Castellano is a diamond in the rough, and pushes War of the Worlds Part 1 over the top, making it one of the year’s best progressive metal releases. After releasing several EPs and splits along with a couple of full-lengths under the Demona moniker, vocalist/guitarist Tanza Speed teamed up with Hammr’s J. Hammer to form Outline. After issuing a demo last year, they return with Fire Whiplash. It includes all the songs from the demo plus three new tracks that’s more an EP at 23 minutes. The songs are speed metal with some punk influences, on tracks such as “Black Eyed Devil.” They are raw and heavy, but songs like “Lady Teaser” also have plenty of melody. Speed sometimes uses a melodic croon, other times incorporating a harsher vocal style. Most of the songs are playing at a breakneck pace, but they ease back into more of a groove on “Away From You” before tromping on the gas halfway through. Fire Whiplash is a fast blast of old school speed metal goodness. Six years after Act I,, Tarja is releasing her latest live album, Act II. It’s available in numerous configurations, including 2CD, 3LP, 2DVD, Blu-ray and a limited edition 2CD/2 Blu-ray with additional goodies. Act II consists of two different shows with a total of 33 songs. The first disc Metropolis Alive was recorded in London just prior to the release of 2016’s The Shadow Self. The second disc was recorded in November 2016 in Milan Italy. There is some duplication, with half of the 12 songs on the first disc also appearing on the lengthier, 21 track second disc. Tarja describes the video edition of the album as a “live art video” with a different visual look than most live albums. There’s plenty of material spanning her solo career, and she delivers a strong performance. 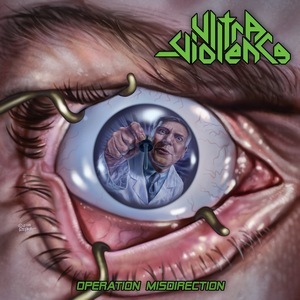 Even though they hail from Italy, it’s obvious that Ultra-Violence appreciate old school Bay Area thrash (The Ultra Violence was Death Angel’s debut), but they incorporate some newer elements as well on Operation Misdirection, their third full-length. Galloping thrash and shredding guitars are prevalent throughout the album with a lot of aggression and extremity. However, they also show a more moderate side on tracks like the opener “Cadaver Decomposition Island.” There’s no shortage of gang vocals and other thrash tropes, but Ultra-Violence add enough twists and turns to make it anything but generic. They also deliver a thrashtastic cover of the Dire Straits ’80s classic “Money For Nothing,” putting a different spin on a familiar song. The album concludes with re-recorded “live in the studio” versions of two previously released songs.